The class of 2018 is coming to a close and students around the nation are preparing for graduation. UCSB students are lucky to call this place home as they have been given the opportunity to live on the beach for the past couple of years. Wondering where to take your graduation pictures? Below are location staples to commemorate your time as a student at UCSB. One of the first places you visit as an incoming freshman is the labyrinth. During our time as students, we often forget about this relaxing path near the lagoon. The labyrinth offers a sense of serenity and calm during our time at UCSB and allows us to reflect on all the happy memories experienced at this school. What better way to commemorate your time at UCSB than with pictures on the front steps of the library? The library is every students’ home away from home. Whether you’re studying for an exam or waiting for your next class, the library is a staple during our time at UCSB. 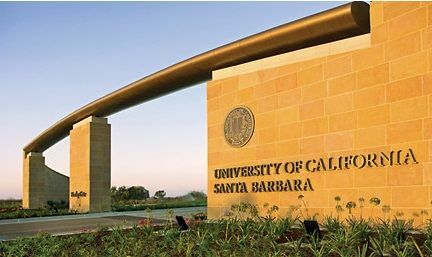 This iconic street embodies our time at UCSB. There are many places to dine in Isla Vista, particularly on Pardall. Try taking pictures around sunset as the light reflects perfectly on this street. Don’t forget to snap an iconic picture outside of Freebirds! You know you’ll miss it when you graduate. 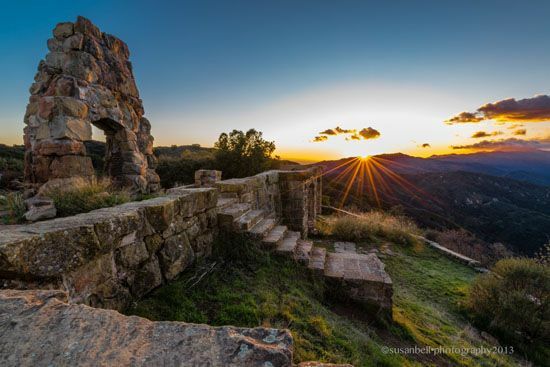 Knapp’s Castle is a short drive from the physical campus but is a beautiful place to take graduation pictures, particularly at sunrise or sunset. Plan a trip with your friends and spend your last few weeks at UCSB exploring your surroundings! Take pictures with your friends on the ruins or the classic rope swing. This is the place to show your creativity in your graduation pictures. You will always remember your time as a student no matter where you end up taking your pictures. Make the most out of your last few weeks as a UCSB student! Shannie Kuo is a graduate of the University of California, Santa Barbara, and has a degree in English. Her passions include health, fitness, photography, and food and she always strives to look for balance within her life. She enjoys going to the farmers market, discovering new coffee shops, and meeting new people. She hopes to find a career that will reflect her passions and allow her to connect with people nationwide.